More about Pentik Sylvia Red Short Table Runner Rich hues of green, violet, and red give the Sylvia pattern a richness that will make holiday tables festive and everyday table settings beautiful year-round. 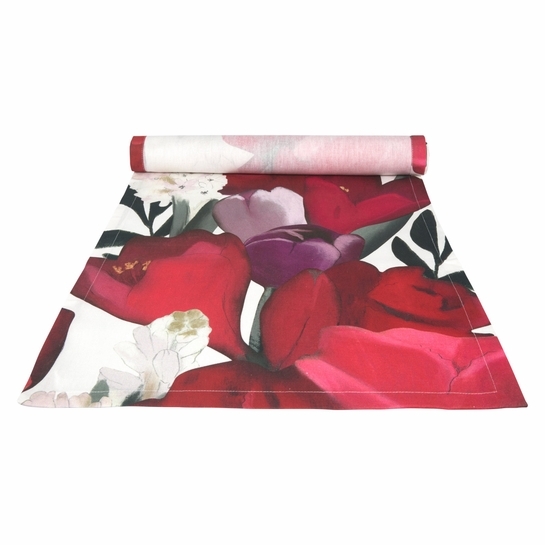 The floral pattern was designed by Minna Niskakangas on plywood but now graces 100% cotton satin for a luxurious finish. Table runners are found in all Finnish homes, a practical item, easy to change with the seasons or occasions, instead of full table cloths.